You are welcome to bring food, drinks, cake, utensils/cups, decorations, and anything else you'd like. Please be cleaned up by 15 minutes after so our staff can clean the facility before the next party. 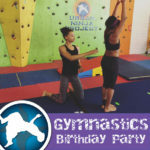 To be transferred to our MindBody system to book your party, sign the waiver, and pay the deposit to secure your spot. Your deposit will be deducted from the total balance. There is a cap on participants of 40. You are welcome to bring your own guns but not ammunition unless you'd like to leave the ammunition behind as a donation to the gym. 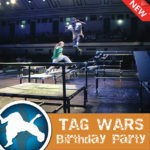 The format is free play for 1/2-hour, battles and games are facilitated by an instructor for one hour, and then free play (or cake/presents) for 1/2-hour. You're welcome to adjust this format with your instructor. 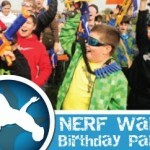 We have custom party invitations available for sale for $0.50 per invitation. Please purchase at the front desk at the gym anytime during our open hours. We accept cash or credit cards when picking up. 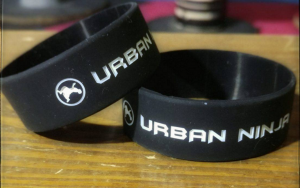 Urban Ninja wristbands - $2 each. They make great party favors. Kids and adult sizes. 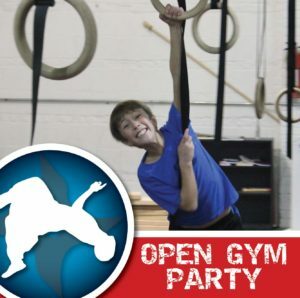 Please purchase at the front desk at the gym during our open hours. We accept cash or credit cards when picking up. 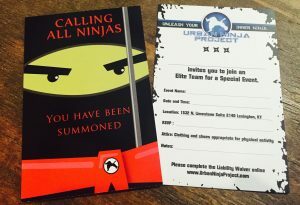 In case of a cancellation, full refunds will be provided up to 14 days before the event date with an email to info@urbanninjaproject.com. 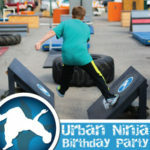 Refunds within 14 days of party will be refunded if another party is booked in the time slot being cancelled.